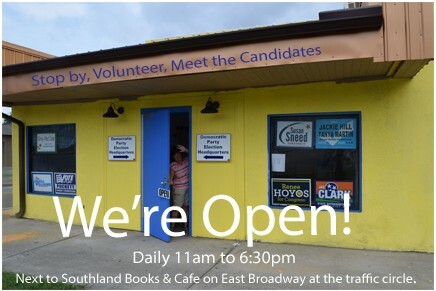 Located at the traffic circle on East Broadway next to Southland Books & Cafe. Write-in - "J. Nathan Higdon"
Check out this page for more detailed information on each candidate. Voters in Blount and Sevier County have a Democratic choice for TN State Senate District 2, J.Nathan Higdon. 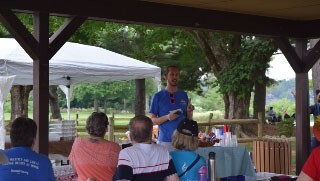 Nathan is a Maryville native, local community activist and business person, and Vice Chair of the Blount County Democratic Party. He was recently featured in a May 17 article in The Daily Times. You can cast your vote for Nathan during Early Voting, July 13-28, or on Election Day, August 2. 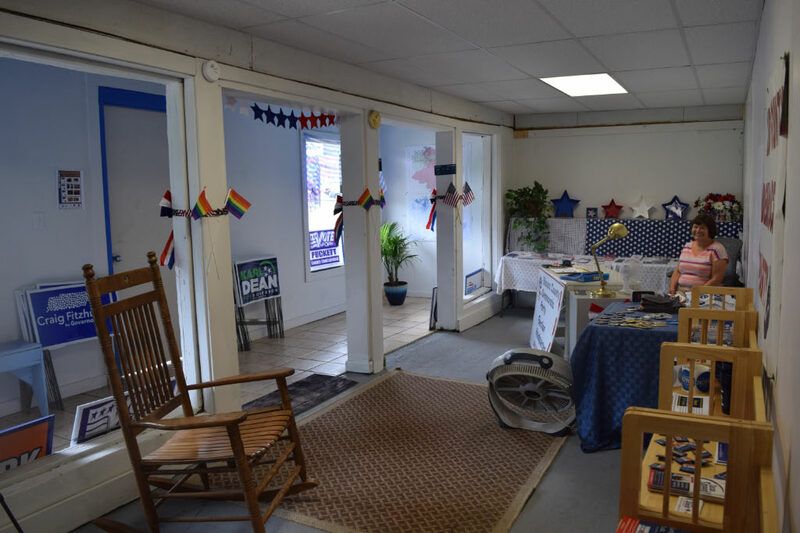 Nathan is a qualified write-in candidate on the Democratic Primary ballot, which means that although you won't see his name on the ballot, you can cast a vote for him and it will be counted. To do so, select the TN State Senate District 2 race on the Democratic ballot and 'write' (i.e spin the ballot wheel, select each letter of his name, punch select) to write his name on the ballot. The voting machine is cumbersome but you can ask for assistance or you can ask for a paper ballot for a write-in. The important thing is that it will be counted and we have a qualified Democratic choice for State Senate to challenge the Republicans. 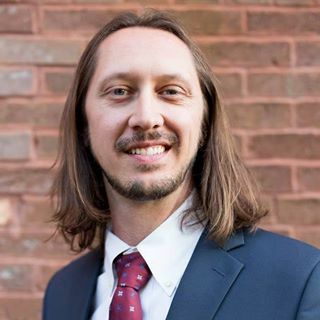 Remember to ask for a Democratic Primary Ballot when you go to the polls so you can vote for all the Democratic candidates running in State and Federal races, including J.Nathan Higdon. The County General ballot will have both parties. 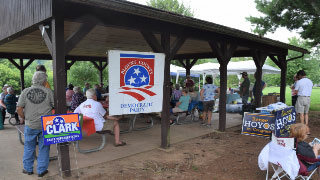 The Blount County Democratic Party held a Summer Bash BBQ at Louisville Point Part on Sunday July 15, 2018. 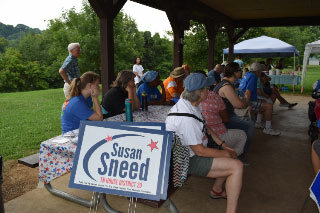 Approximately 150 enthusiastic Democrats attended and heard from candidates or their representatives for County Commission, State House and Senate, State Governor, U.S. House and U.S. Senate. 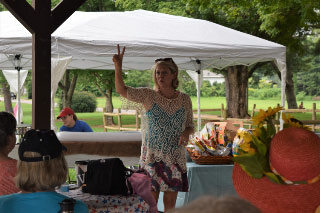 The attendees also enjoyed delicious BBQ from Southland Books and Café and music by Pistol Creek Catch of the Day. Help us share our message and promote our Democratic vision, principles and values. Join us in helping elect Democrats to local, state and federal offices. Checks can be sent to Blount County Democratic Party, PO Box 6552, Maryville TN, 37802. Donations can also be made online.